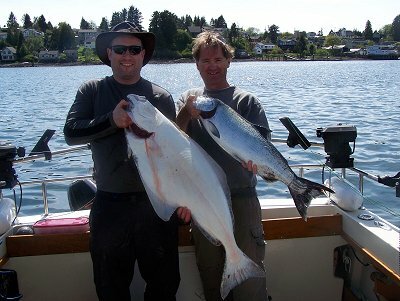 13th May, 2010: FISHING REPORT: Port Alberni Inlet, Barkley Sound, Ucluelet (West Coast), Somas-Stamp River System. The sport fishing salmon and halibut season is well underway along the rugged but very scenic coastline and inshore and offshore areas of west Vancouver Island British Columbia. It is almost May and the weather to date has not been perfect. This is not to say that there have not been some beautiful sunny days on the open Pacific Ocean and the protected waters of Barkley Sound . The weather in early May can be quite variable. This past weekend (Mothers Day) had three magical days that one could term as “perfect”. The salmon season for Chinook and Coho is forecast to be one of the best in twenty years. Chinook returns to the Columbia River watershed is forecast that early summer and mid summer runs will be well over 1.2 million for the 2010 fishing season. With this number in mind and the migratory flow of Chinook salmon returning to other distant streams and also local rivers and creeks the fishing opportunity this summer should be more than sensational. Coho salmon are also once again predicted to be in record numbers. There are already reports of Coho salmon in local waters off Ucluelet and Barkley Sound. Some of the Coho are currently four to five pounds but those of us who have fished these very aggressive and acrobatic sport salmon know very well that they will put on up to a pound per week in June and July as they feed on the rich and very nutrient bait fish found along coastal waters and the waters of Barkley Sound. By August and September these five pound Coho can weigh anywhere from twelve to twenty pounds. The 2010 salmon sport season during the spring, summer and fall months out of Ucluelet, Barkley Sound, the Alberni Inlet and Stamp River will no doubt be one to remember. 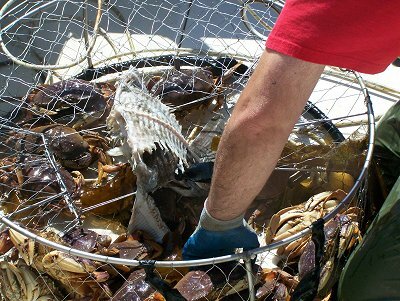 Fishing is one reason that many visitors come to Vancouver Island. Those coming to British Columbia’s west coast can experience a vacation full of adventure and unique culture. Coming to the Island to sport fish also presents opportunity to explore the great rainforests, beaches, and lakes. One can also seek out local wild life, whale watch, and surf the waters between Ucluelet and Tofino. The pristine water of Barkley Sound is a great area for many to Kayak. Hiking, camping, spa retreats, enjoying west coast cusine and observing and discovering First Nations heritage are also many of the fascinating adventures that visitors can take in. The saltwater fishing in April and the first part of May has been very good and fairly consistent for Chinook, halibut, and bottom fish. Crabbing and prawn fishing has been absolutely perfect. 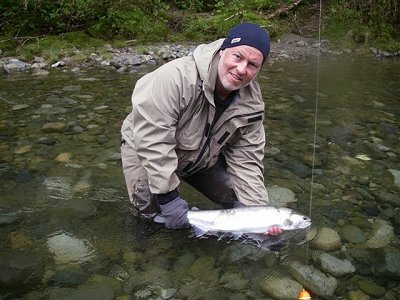 May and early June is often an exciting month out in the Pacific Rim area. This year has already seen plenty of feeder Chinook and hatchery fish which are migrating to the south landed by local anglers and many vacationers on guided trips. The 20th of May is often the time when sport fishing really begins to produce for those fishing salmon and halibut. It is often by this time that most of the halibut have migrated from the deep water to the shallows. Many areas around Ucluelet have been quite good. Beg Island, Mara Rock, Great Bear, and the Alley all have been fairly decent for salmon. Sail Reef has produced some great lings and halibut. Salmon have been hitting green and blue coyote spoons behind a five foot leader. Bait has also been good in the chartreuse Rhys Davis Teaser Head behind a five to six foot leader. In plastic a green needle fish and the brown turd has been working for some guides. The salmon have been in water from fifty-five to one hundred and thirty feet and have averaged ten to fifteen pounds with some catches coming in around the twenty-five pound weight class. The biggest salmon to date on one of our guided trips is twenty-eight pounds. 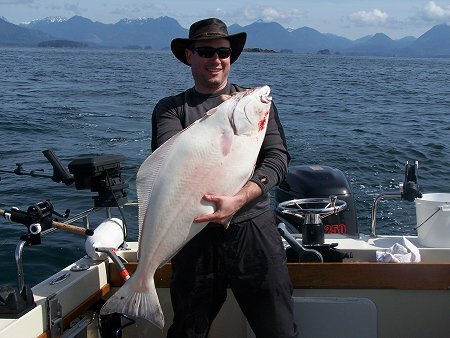 Halibut at this time of year are often picked up on the troll fishing fairly close to the bottom. One thing to note about May and early June fishing is that most of the salmon are close to the shoreline which means travel time is only a few short minutes out of the Ucluelet Harbor. Sport fishing out on the west coast this summer will be absolutely spectacular. Many thought 2009 was going to be hard to beat. All indicators show that 2010 will be even better. In Barkley Sound the two opposite shorelines and close to what is termed the surf line have to date had the best salmon fishing. Whittlestone and Edward King close to Bamfield and Effingham Island and areas close to Swale rock have had the best fishing opportunities on the opposite shoreline to Bamfield. Effingham and Austin Island have had great reports of salmon weighing ten to seventeen pounds. The fish off of Effingham have been in eighty to one hundred and ten feet of water. The four inch green-glow coyote spoon and anchovy in a green Rhys Davis Teaser Head have both been working well. This is a great time of year for feeder and migratory Chinook to come into protected surf line locations to feed on the rich sources of bait fish. If one finds the bait there is often plenty of salmon in the area meaning that sometimes it is important to be patient. Be sure to have a variety of four and five inch spoons and different hootchie colors such as whites, greens, bluey-greens, and plenty of bait. Some of the hotspots in Barkley Sound during the summer fishing season are Meares, Austin, Cree, Folger, Beale, Edward King and Kirby Point. There should be great fishing all summer in these areas. It is important to have a good GPS and depth finder. Sometimes anglers not knowing the waters will fish quite deep and not realize that the water depth can move from one hundred and eighty feet to forty feet in a matter of seconds. Barkley Sound is protected from winds coming from the south and north off the Pacific. The area has mostly calm pristine waters and is a wonderful scenic area to fish. The Alberni Inlet will be open for Sockeye this year. Forecasts for the 2010 season are much higher than 2009. It is predicted that six hundred to seven hundred thousand Sockeye will return to the Somass River and make their way into either Sproat Lake or Great Central Lake. The sport fishing will open on either June 1st, 10th or 15th with early season possession limits of two per person. If there is adequate escapement during the latter part of May and the month of June through the counters than on July 1st possession limits may move to four per person per day. The Department of Fisheries will make this decision. China Creek Camp ground should become a very busy place by June 1st with many of the tourists camping in the area anticipating some great fishing and good times while on the water. Some of the best Alberni Inlet fishing locations for sockeye will be Nahmint-Franklin, Cous Creek, Dunsmuir, Underwood, the Narrows, Narrows Slide, and the China Creek Wall up to Lone Tree Point. Guide Doug of Slivers Charters Salmon Sport Fishing recommends that the mp 15 and mp 2 are two excellent lures to use for Sockeye. The mp (mini-plankton) 15 is a bubblegum color and the mp 2 is red in color. Fish with four rods and create plenty of color with at least four flashers in the water that are green or red. The green or red hotspot flashers seem to work the best with leader lengths of twenty-two to twenty-eight inches. The Sockeye in the early part of the season could be moving quickly in the top thirty feet of water but as the river and Inlet water warm-up they will move down to depths of fifty and eighty feet. Sockeye fishing is a fabulous sport fishery for the whole family. It is a lot of fun and a good time for children who especially have never landed a salmon. 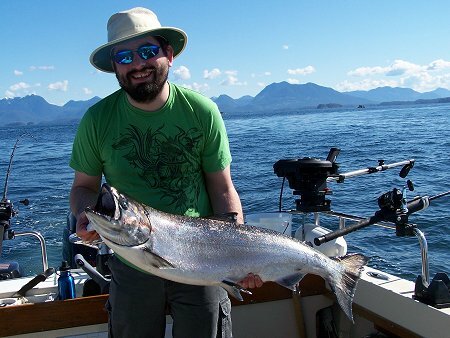 The Port Alberni Inlet will be a real hotbed for fishing in June and July for Sockeye Fishing. 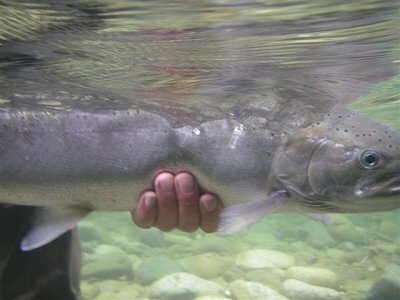 By mid August Chinook and Coho begin to move into the Inlet and continue until mid September.